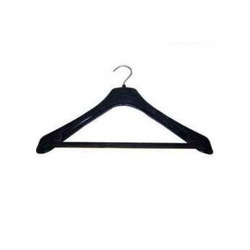 We have emerged in offering our valuable customers a wide array of Coat Hangers. Available in various sizes and shapes, these hangers are manufactured using optimum grade material. moreover, our range is manufactured advanced technology and high-tech machines so that these are in tandem with industry's standards and norms. We are offering Wooden Coat Hangers to our clients. Our company holds vast experience in this domain and is involved in an offering Coat Hanger. 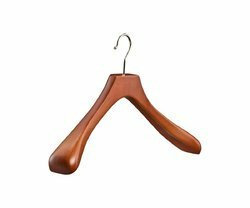 Being highly effective and lean organization in the market, we are preeminent in creating Coat Hanger that is available in many sizes. We offer a huge assortment of Wooden Coat Stand that are available in different designs and specifications to suit diverse requirements. These can be used to hang almost all types of coats like blazers, suits, ties, women's suits and many more. We are engaged in offering our clients with a variety of Coat Hangler, these Coat Hanglers are widely appreciated by the clients for their quality and are hugely demanded by the clients. Made with solid wood and mild steel chrome, this stand looks very contemporary and classy. This stand goes well with any type of home dcor, this cloth stand can also be used as an organiser where you can put your bags, hats, towels, belts and other things. We offer clothing hangers like coat hangers, in wood and metal hangers, trouser hanger, laundry hanger, pants hanger, garment hanger, luxuries hanger, jacket hanger, wooden shirt hangers etc. For jackets, coats or other items of clothing. The coat hanger is fastened to the front head restraints.